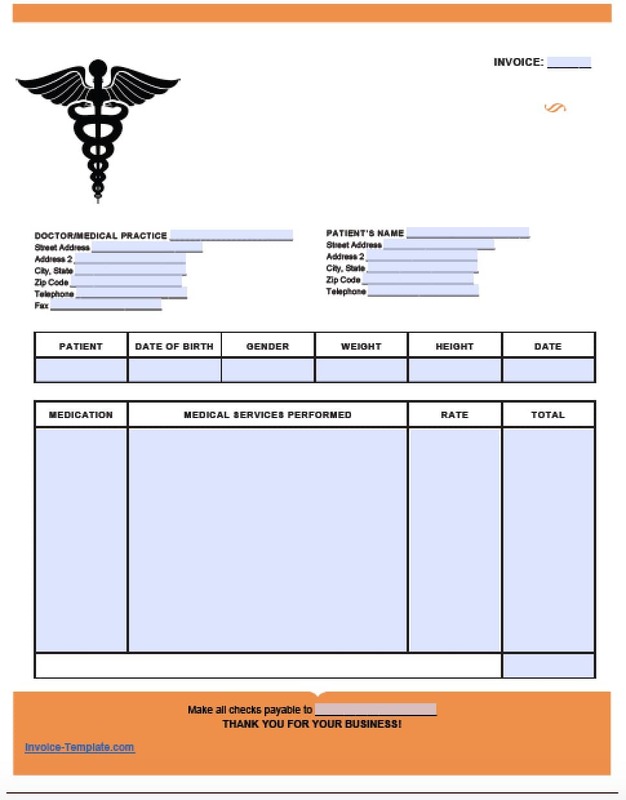 A medical invoice template is designated for any licensed professional that cares for patients in any health-related field. Such designations include, but are not limited to, doctors (physicians), dentists, physical therapists, psychologists, psychiatrists, nurses, chiropractors, and any other medical professional. Medical Debt Relief Act of 2018 – Requires medical bills that have been transferred to collections to notify the patient for one-hundred and eighty (180) days before it can be reported to a credit agency. If paid by the patient the debt must be removed from the credit report within forty-five (45) days. The pharmacy invoice template states an amount of money which must be paid by a customer to a pharmacy. The charge can be for any medication or goods obtained by the customer as well as a service fee (if applicable).